Back in September I had gone to the Seattle motor show, where they had 3 sevens on display. 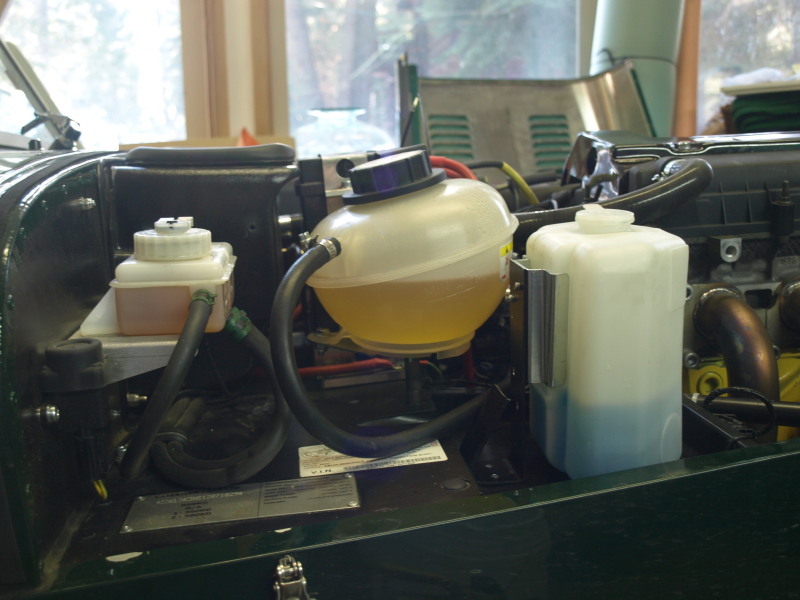 One of them had the coolant system overflow bottle mounted near to the scuttle. 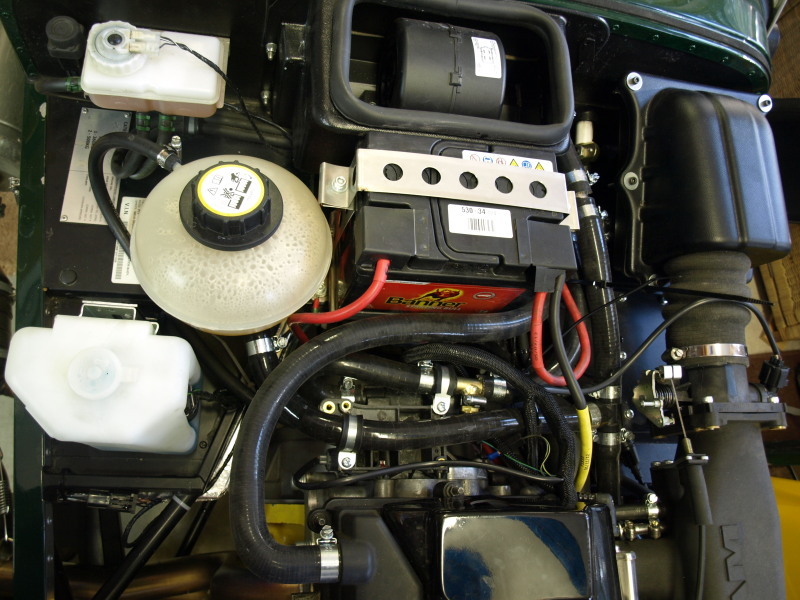 This is more convenient as you can actually get at it when you want to top up the system by just removing the bonnet. The nosecone can stay in-situ! So I set about the job by partially draining the cooling system. I removed the overflow bottle and found a threaded insert already in place above the passenger side foot-well -so I fixed it there. I replaced the T piece by the water pump inlet with a bend in the hose leading back to heater outlet. Thus removing the hose that used to lead forwards to the reservoirs old location. I install the T piece close to heater outlet. Then led a hose from the relocated T to the reservoir. Finally connected the small overflow hose after shortening. I had researched installing a new Oil Temp. 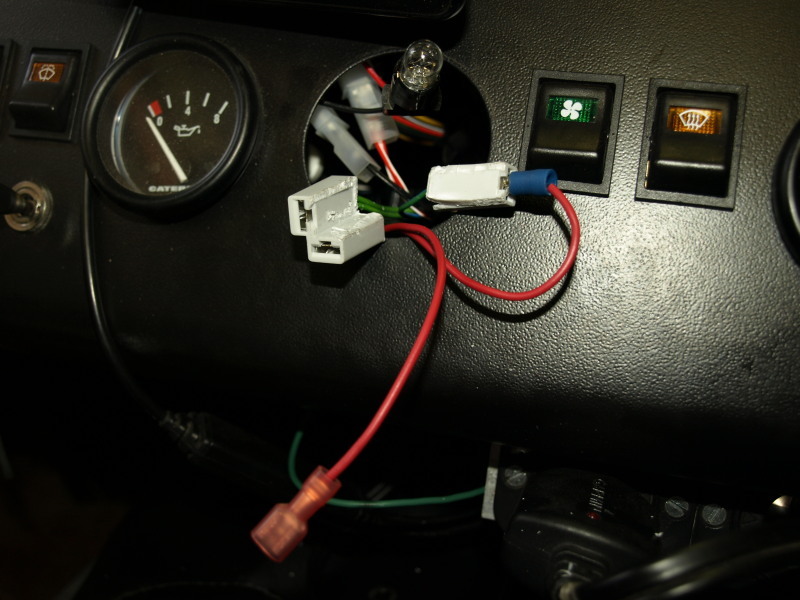 Gauge and a found that a common solution was to use an identical temperature sensor as used for the coolant temp. 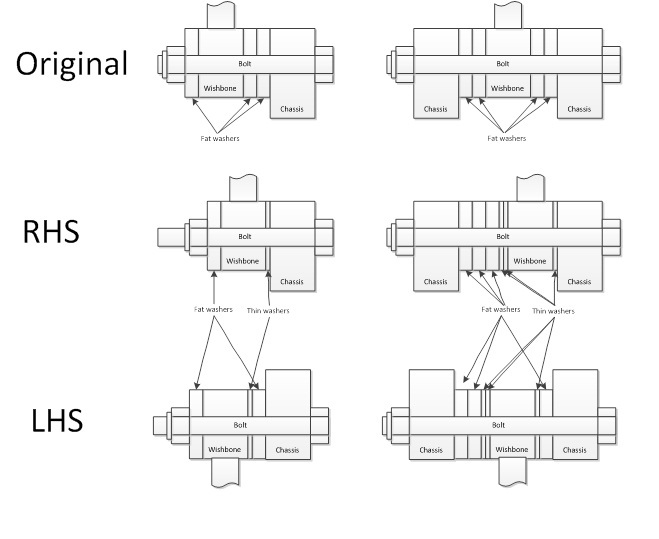 gauge and share the existing gauge by means of a switch. I had purchased an additional sensor some time ago. Temp sensor fitted in oil sump bung. First job was to remove the sump oil drain bung, thus draining the oil. 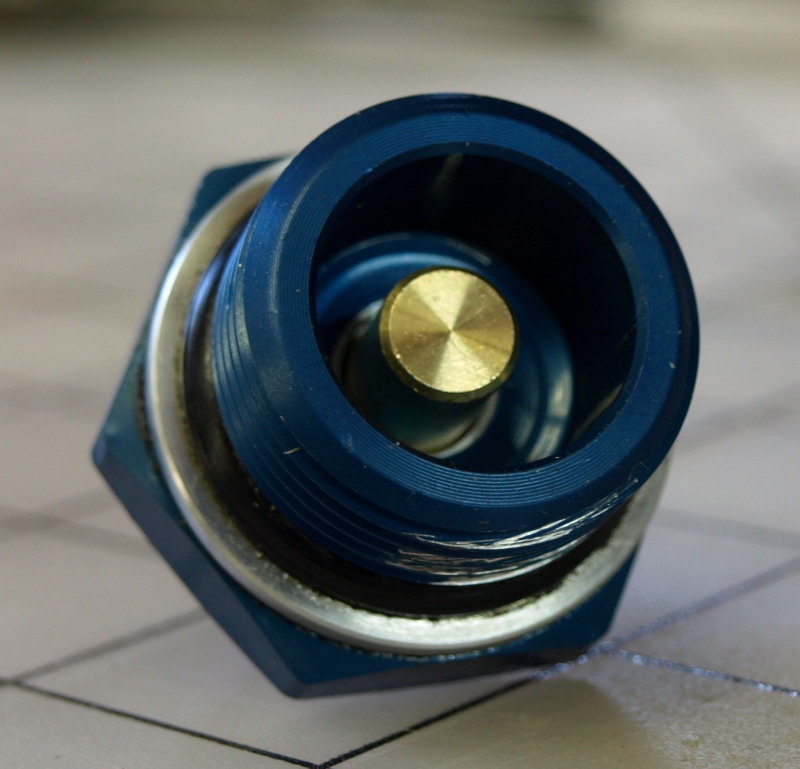 Then, I installed the sensor into the oil drain bung by drilling a 9mm hole in the center and tapping a 10mm x 1mm pitch thread. Then refitted the bung & re-filled the oil. 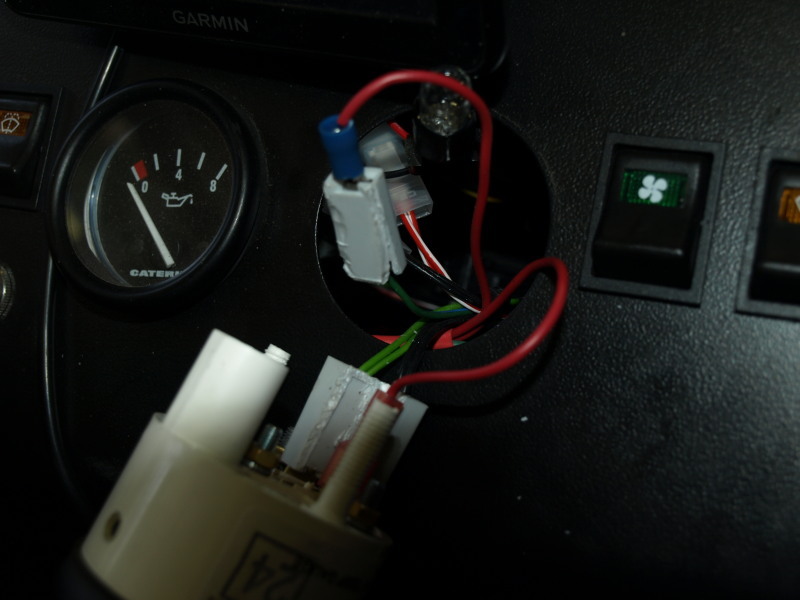 I ran a new green wire from the sensor to the back of the dash panel. Next job was to remove the water temperature gauge from the dash panel. Its held in place with a U bracket and 2 thumb-wheel nuts. Then unplug the 3 spade connector fitting. 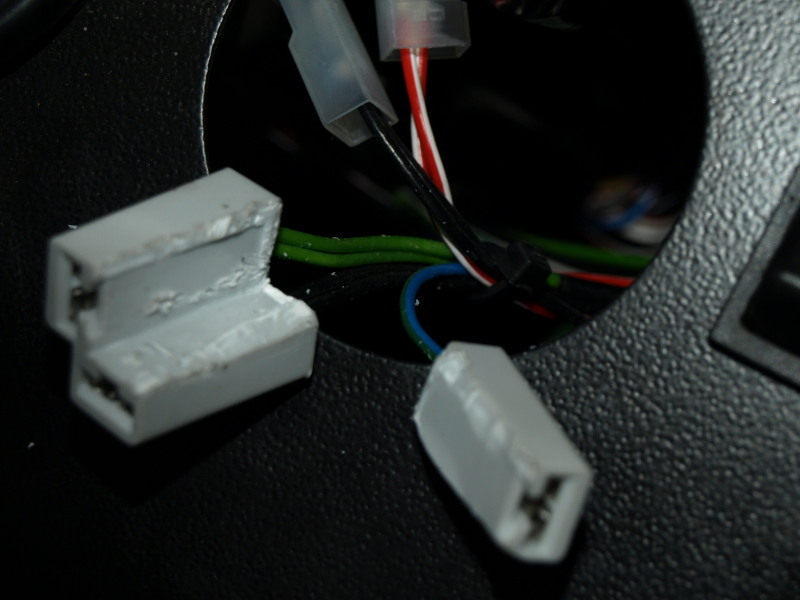 I had to separate out the feed wire and spade connector from the others and did this by cutting with a Stanley knife & wire cutters. 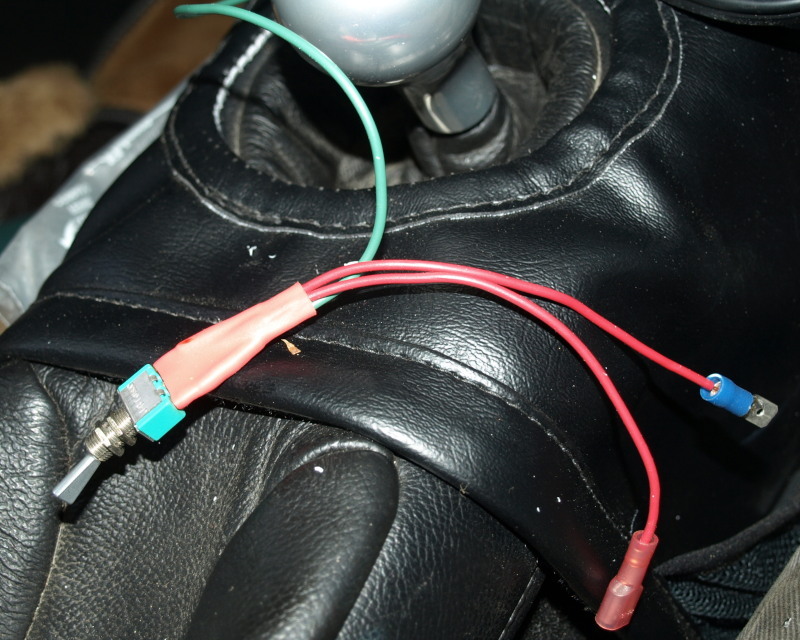 Next I made up a harness with a changeover switch. The center pin of the switch was soldered to a wire with a female spade connector leading to the gauge signal pin. 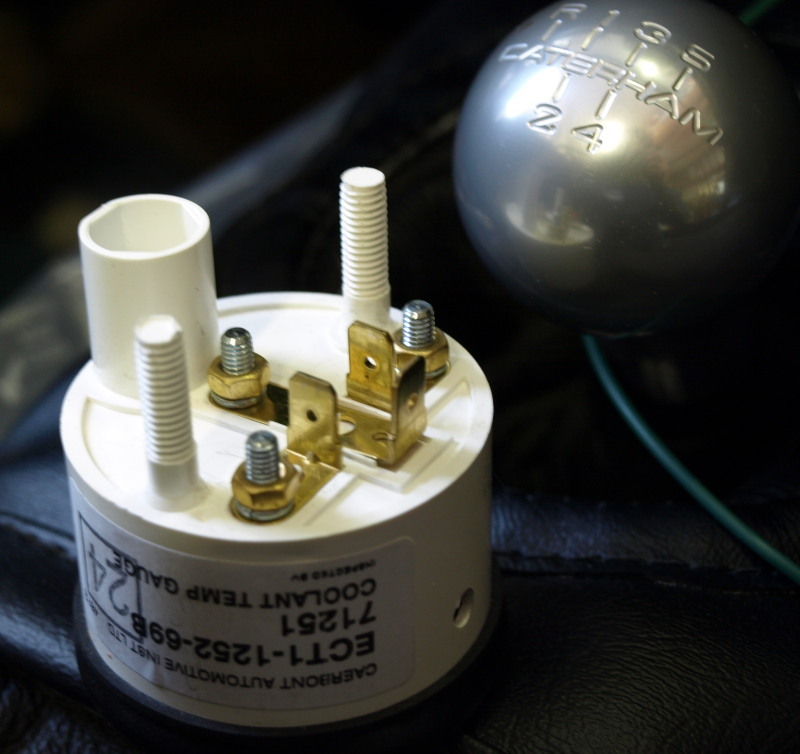 The first side pin of the switch was soldered to a wire with a male spade connector that will connect to the original water temp signal. 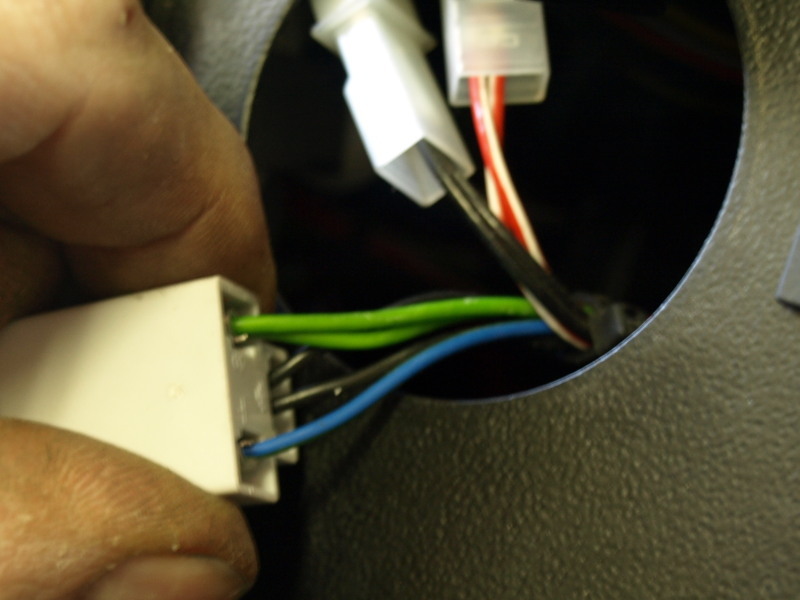 Last pin is soldered to the green wire coming from the new sender on the sump. 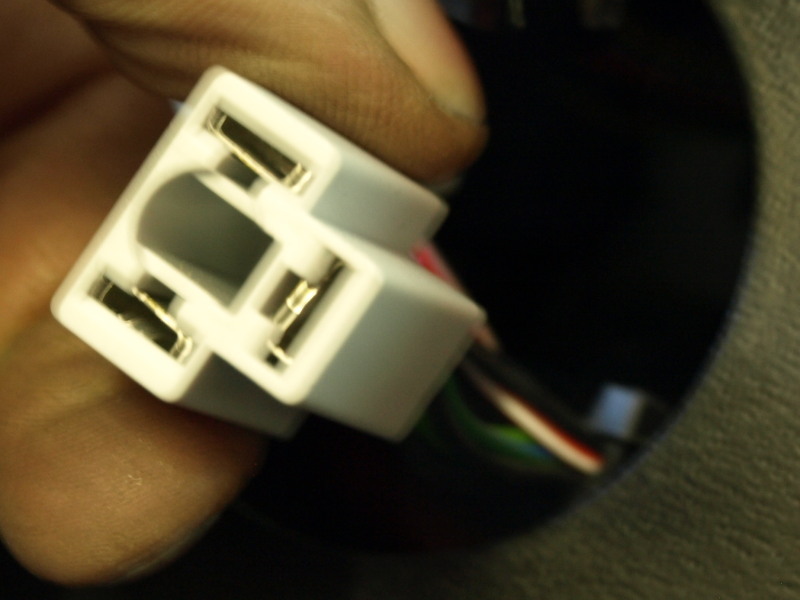 All solder joints were completed with heat shrink sleeving. 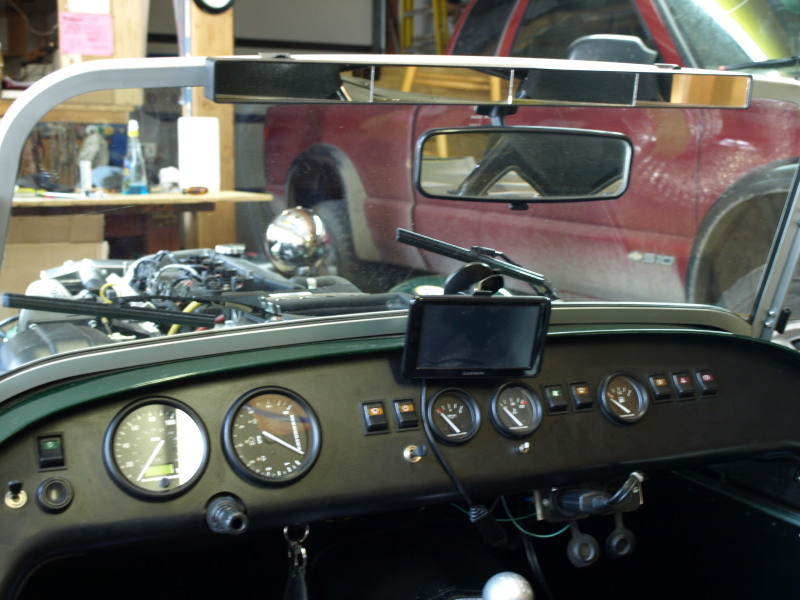 Then plug it all together and install the gauge back in the dash panel. 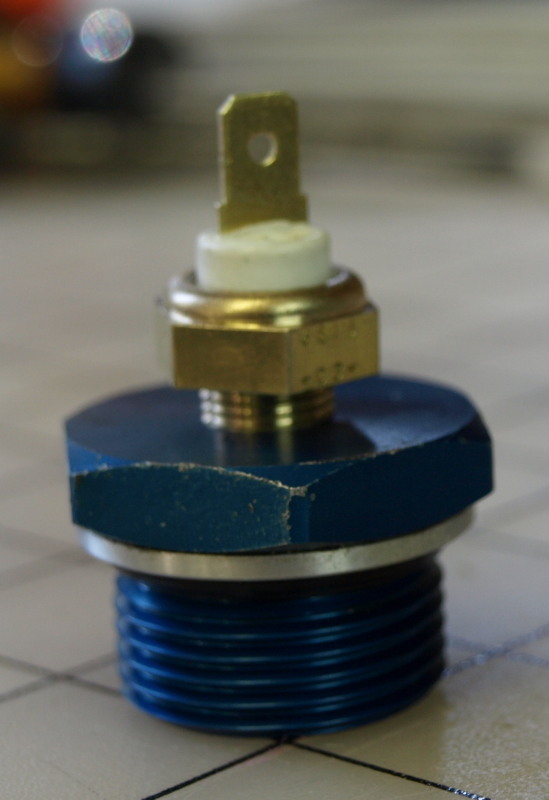 Oh, and before that drill a 3/8″ diameter hole below the gauge to install the switch. 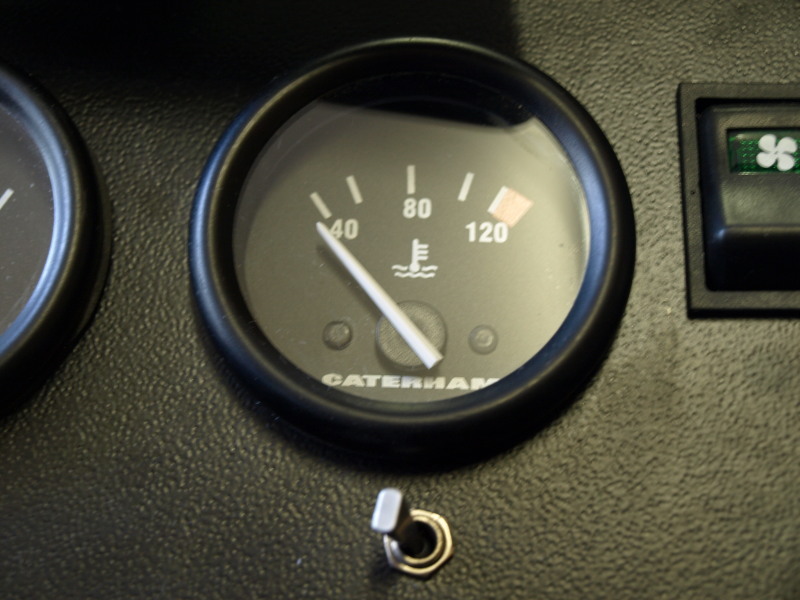 The switch changes the gauge to read either coolant temperature or oil temperature. 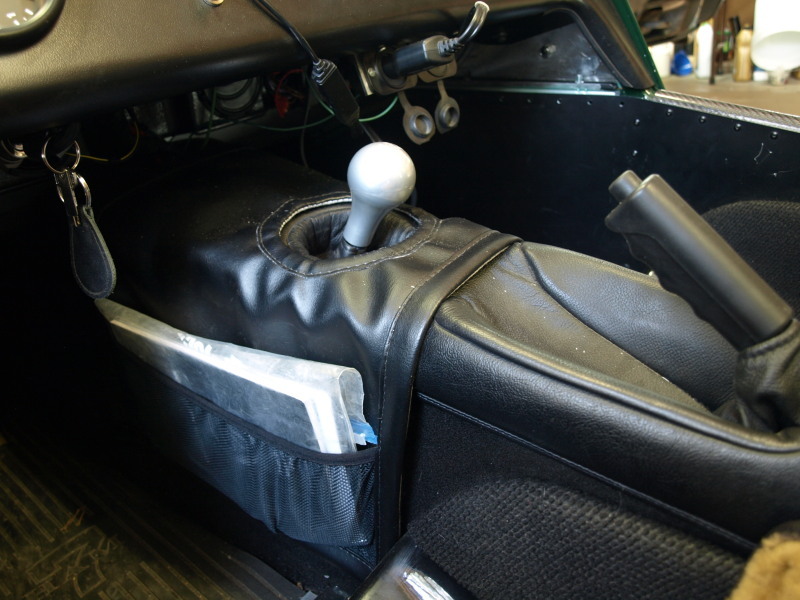 While the 7 is off the road, I set about adjusting the front suspension to get is closer to spec. 1. Adjust the Caster angles for the front suspension. When the wheel alignment was done the caster was 4.9 degrees on the left and 5.5 degrees on the right. The spec is 4 degrees +- 1 degree. 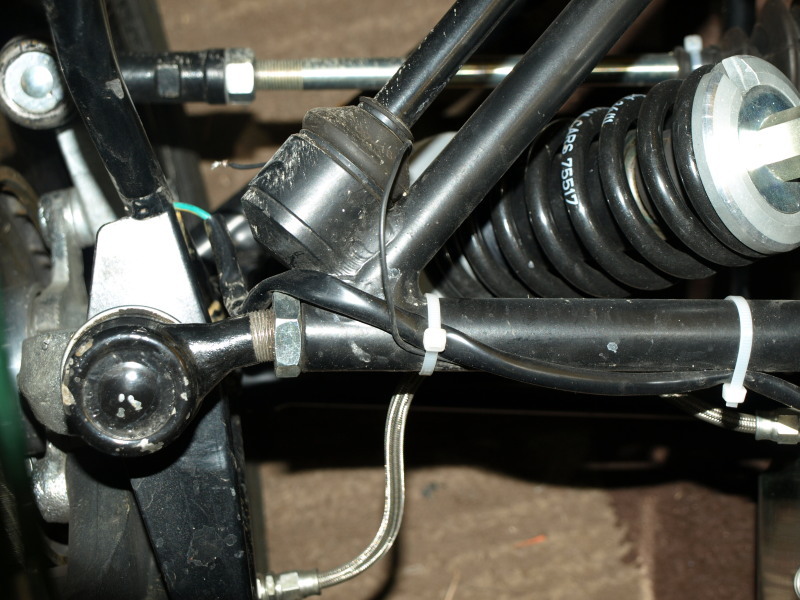 To get the adjustment requires changing the spacer washers on the lower wishbones, to allow the wishbones to move backwards and reduce the caster angle. There are 2 thick washers in place, each measuring 2.36mm. Thin washers measure 0.79mm. For RHS, reduce from 2 thick to 1 thin washers, =3.93mm. The upright measures 230mm, Tangent =3.93/230 = 0.017, angle = 0.98 degrees. New castor angle = 4.52 degrees. For LHS, reduce from 2 thick to 1 fat &1 thin washers, =1.57mm. The upright measures 230mm, Tangent =1.57/230 = 0.0068, angle = 0.39 degrees. New castor angle = 4.51 degrees. 2. Adjust the Camber angles for the front suspension. When the wheel alignment was done the camber was -2.2 degrees on the left and -2.5 degrees on the right. The spec is 1.33 degrees +- 0.3 degree. 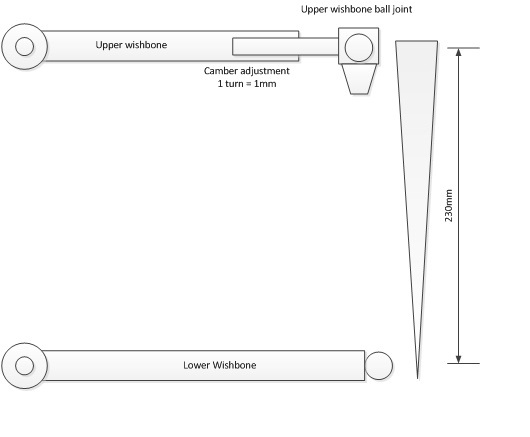 To get the adjustment requires moving out the upper wishbone ball joints by 1mm per screw turn. 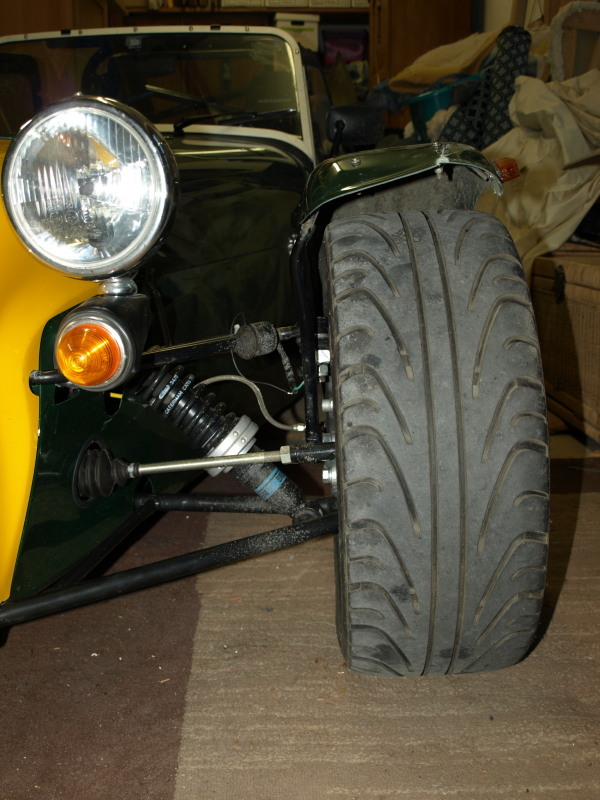 For the RHS, 4 turns will reduce camber from -2.5 to -1.50 degrees. 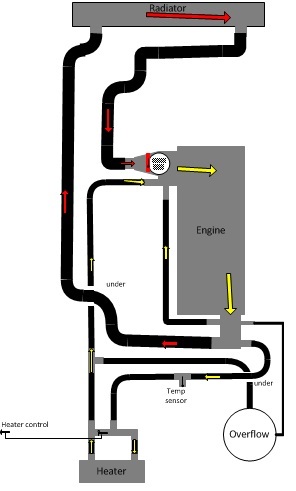 For the LHS, 3 turns will reduce camber from -2.2 to -1.45 degrees. For Christmas I got a panoramic rear view mirror and center console saddle bags that Dot made. Both installed easily.